Look, I’m not a beer expert, but when a bottle of Vedett Extra White beer arrived in the post it would have been churlish of me not to try it. I like beer; but I can’t wax lyrical about why I like beer. I’ll leave it to other people to do that. For that reason I’ll commend the Extra White to you because it has won the title of Best Wheat Beer in the inaugural The Beer Awards. As I’ve said, I like beer and I like this beer. Though I prefer another beer – and more of that in a few words’ time. Judges said of the Belgian beer (4.7% abv) that the “citrus zest and a touch of coriander make this beer the ultimate refreshment”. Technical notes tell me that it contains wheat, barley, hops, coriander and dried Spanish orange peel. The palate is crisp and “punctuated with an orange and lemon-like zest”. The trophy has come at a good time for Vedett as all  three beer styles have seen strong sales' increases in the past 2-3 years. Here's the other two beers which arrived in the post. Like the other beers, the Extra Blond (5% abv) has a quirky, retro label. People can personalise their own bottles by uploading images and messages on the back labels via Vedett’s website. The beer has a smooth malt character with notes of vanilla and fruit. We – as in me and the Other Half – preferred this IPA (5.5% abv) to the Extra Blond and the Extra White. It was very refreshing after a long. long day, with interesting aromas of citrus alongside a touch of bitterness; and when we tasted, those characteristics were mirrored, together with a silkiness of caramel. It’s definitely a beer I’ll look out for again. Vedett Extra Blond (RRP £1.70) can be found at Morrisons and select Marks & Spencer and Co-op stores. Vedett Extra White (RRP £1.65) and Vedett Extra Ordinary IPA (RRP £1.99) are stocked in a few beer independent shops, including Beer Merchants (all are 330ml). 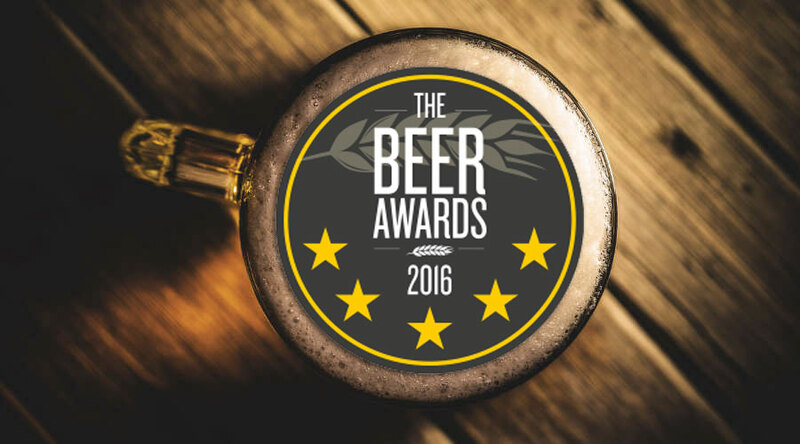 The IWSC group organises The Beer Awards which were launched at the Craft Beer Rising event in London. For more details on Vedett pop over to their website. The 2017 Craft Beer Rising event takes place in February. More details here. A public relations team sent me these beers as samples – I never guarantee I’ll write about drinks I receive unsolicited. 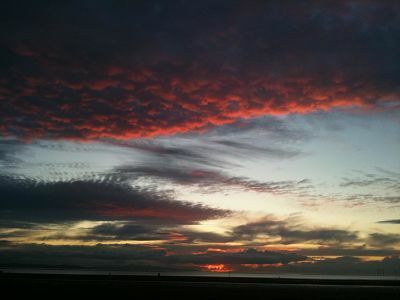 I’ve just got home after walking up to the beach with the Moo and back home past Crosby marina. I was kicking myself I didn’t have my phone with me to take a photograph as the sunset across the sea was amazing – as usual. There’s nothing quite like it when the weather is right – the sun dips down in the west behind the jagged north Wales mountains and as it goes it casts hues of red and amber upwards; the steel grey sea reflects and glistens; the sky is vast, endless; and the Iron Men statues are silent watchers. I was having a moment – thinking – 2016 hasn’t always dealt the best of cards – but I’m so, so lucky to live here and be able to look out at that beautiful view. It’s the kind of thing that puts *stuff* into perspective. I thought mum and dad would have liked it. Then a cycle bell rang behind me and I stepped aside. A chap cycled past with some big pannier bags strapped to his bike; he was wearing a reflective coat with some writing on the back – he was cycling round Britain. I shouted *oooh, good luck* but I don’t think he heard me. About five minutes later Moo saw him sitting down by the side of the marina and ran up to sniff his feet. I wandered over – asked him what he was doing. 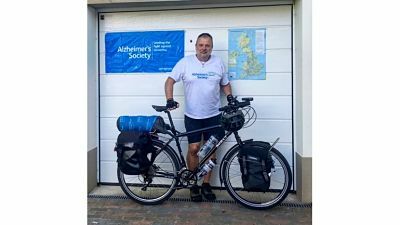 He’s called Paul and is cycling round Britain, anti-clockwise, for Alzheimer’s and dementia. He left Portsmouth in August and has even been round the Scottish islands. He’s now on his way back south, camping out when he can or jumping in a hostel or B&B when the weather’s not so good. He hopes to finish by the end of the year. I’d only been thinking of mum a minute earlier – she’d had vascular dementia and had an unhappy last few months of her life. About five minutes before she died she’d had a sudden moment of clarity and touched out to my face. I’ll never ever forget that. So here was this chap, 3,000-plus miles into his self-funded trek to raise awareness and money. Its cold outside tonight; I don’t know what his plans are to keep warm. He told me how to find him on T’Internet – so I have, and here he is below. 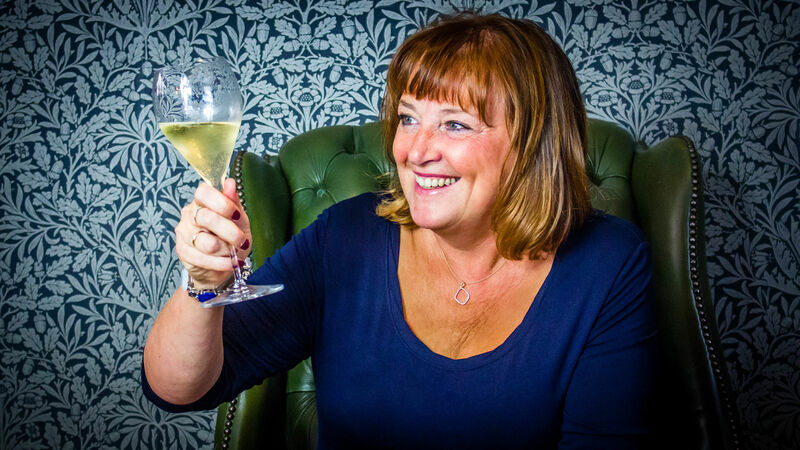 I’ve donated a little bit of cash – perhaps you might do too, in memory of mums and dads everywhere and those gorgeous sunsets that help us remember them. … and follow Paul on Facebook below.